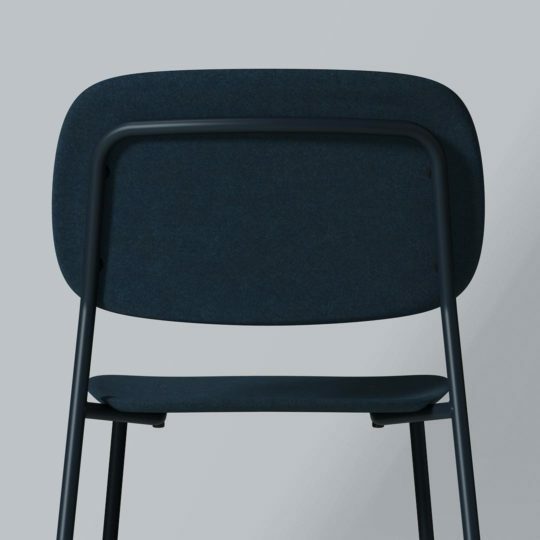 Take a sneak peek at a few of the new product launches Tsunami Axis spotted at Orgatec. We’re showing you a selection of 8 from 39. To see all 39, please contact Garry Mason: Gmason@tsunami-axis.co.uk or m. 07739 628528. 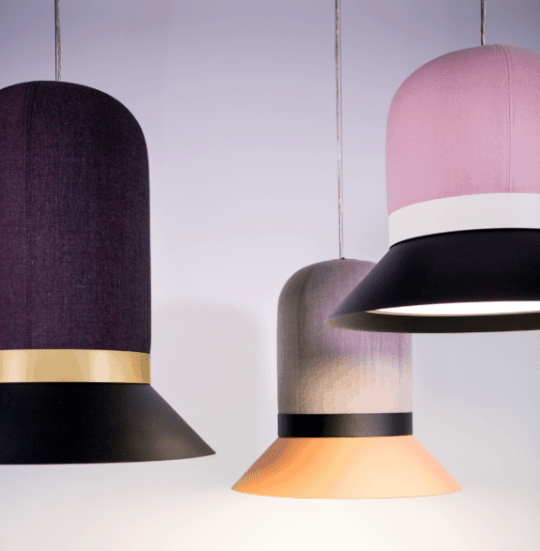 One of the many lights launched by Buzzi at the show. Can be specified in the colour combinations of your choice. This made us smile. 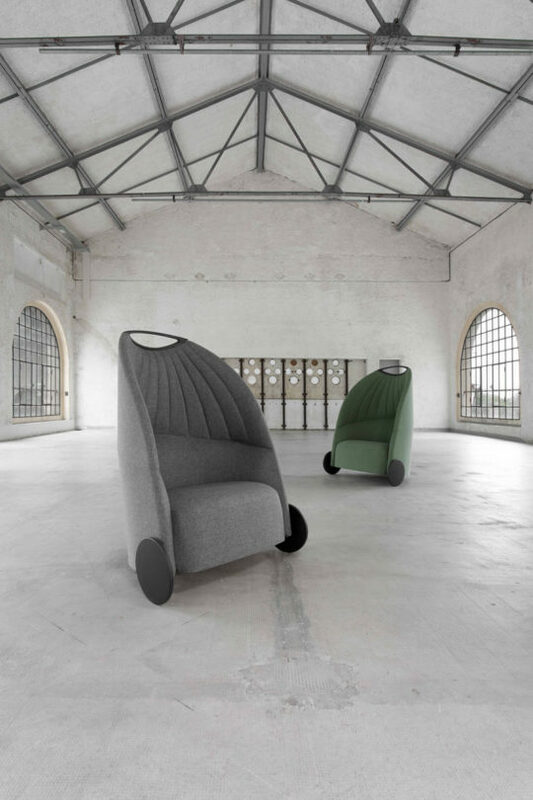 Perhaps more Playmobil than your usual acoustic chair, this very cost effective chair from the Italian manufacturer comes in two heights and can come with over-sized wheels for ease of moving or legs. It even has a handy handle to move it around. 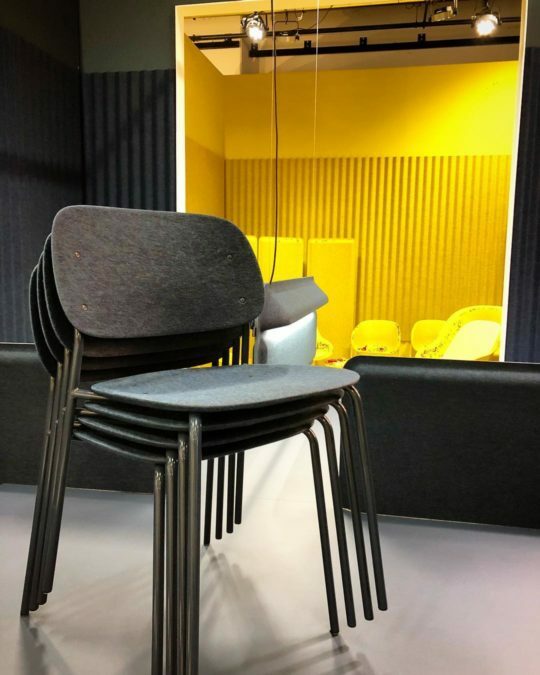 A stacking chair with a difference, Hale is from the Kings of PET felt. 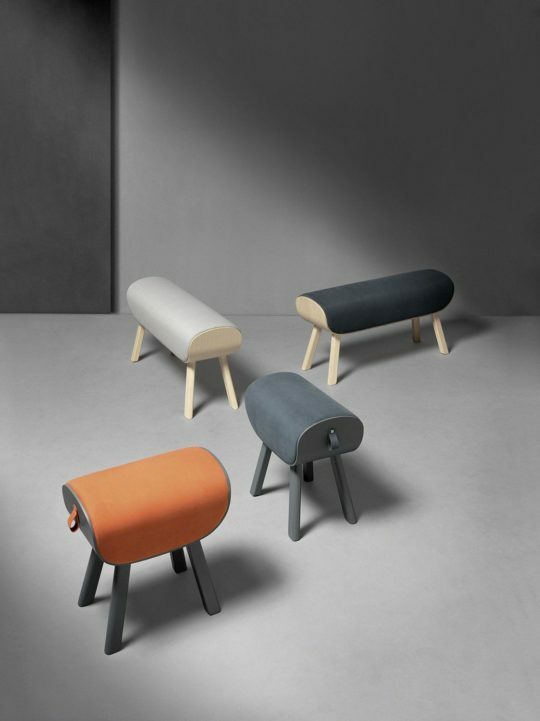 Coming in a wide variety of felt colours, the material means that there is a lot of give in the splat and seat to make for a very comfy sit. 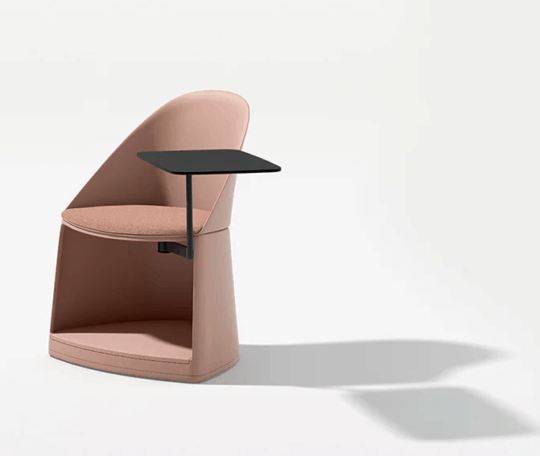 To compliment the launch of their 2017 Cila chair range Arper have added the Cila Go which comes with or without a back and tablet but has concealed wheels on the base and a handy storage cubby underneath for bags. Like the rest of the range, perfect for the education sector. 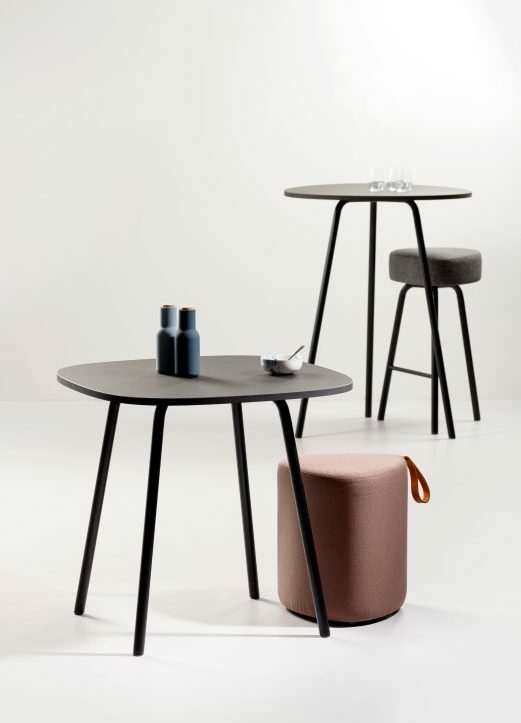 Following the ever-present trend of bent black metal, the Dutch brand has brought out a new stool (in bar and counter heights) with a softened triangular seat and a series of tables (in coffee, dining and poser heights) which have organic shaped tops, which come in 5 HPL and Linonleum surfaces. 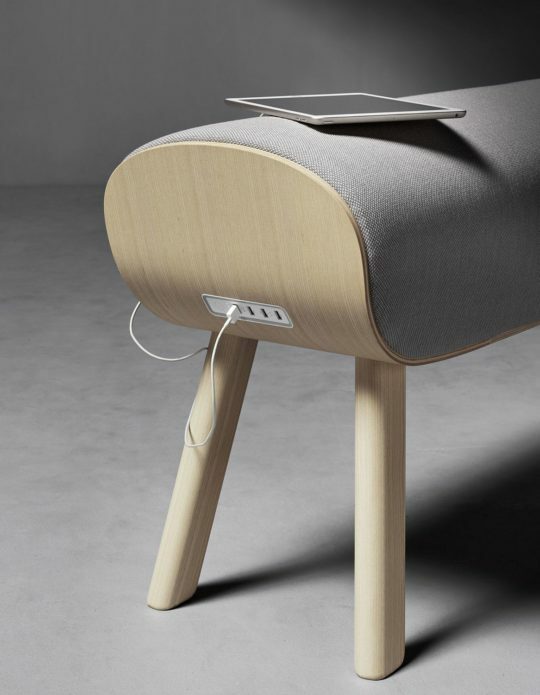 Designed by Kataryna Sokolova, the latest high back comes with a curve! 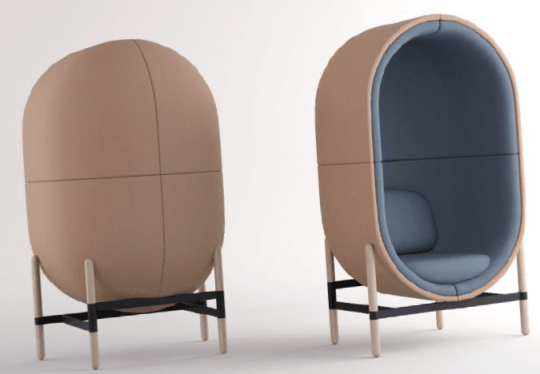 Available in a 2/3 seater pod and a single, Capsule offers a more organic shape than the recent launches into the market. For more information, please contact Garry Mason: Gmason@tsunami-axis.co.uk or m. 07739 628528.